This holiday season we all have many things to be thankful for. At Sapp Design Architects we are thankful for another great and successful year after the completion of several new schools. We are thankful to live in a community that places such a large emphasis on public education, and for all of the dedicated teachers and administrators who hold our schools to the highest standards in the state of Missouri. We often take for granted the public education systems we have in place and forget that about 57 million primary school age children do not have access to schools. That is why this year we at Sapp Design Architects are thankful to have a team member taking action by designing a primary school for one of Africa’s poorest countries, Burkina Faso. With his passion for designing schools driving him, Benjamin Hall has co-founded the non-profit For Burkina, and is working with Hammons School of Architecture students to design socially oriented architecture for the country of Burkina Faso, Africa. 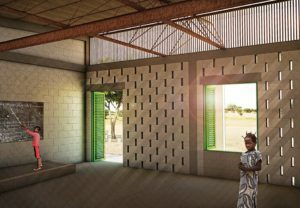 The group’s mission is, “to create sustainable, economical, and dignifying architectural designs that improve the well-being and livelihood of inhabitants.” Working in collaboration with the non-profit BuildOn, the group is designing what will become BuildOn’s prototype school for both Burkina Faso and Mali, Africa. With the the design of the school complete, the group is now raising the necessary $32,000 to construct it. In March of 2015, members of the group will travel to Burkina Faso to work with the selected community in building the first school using their design. 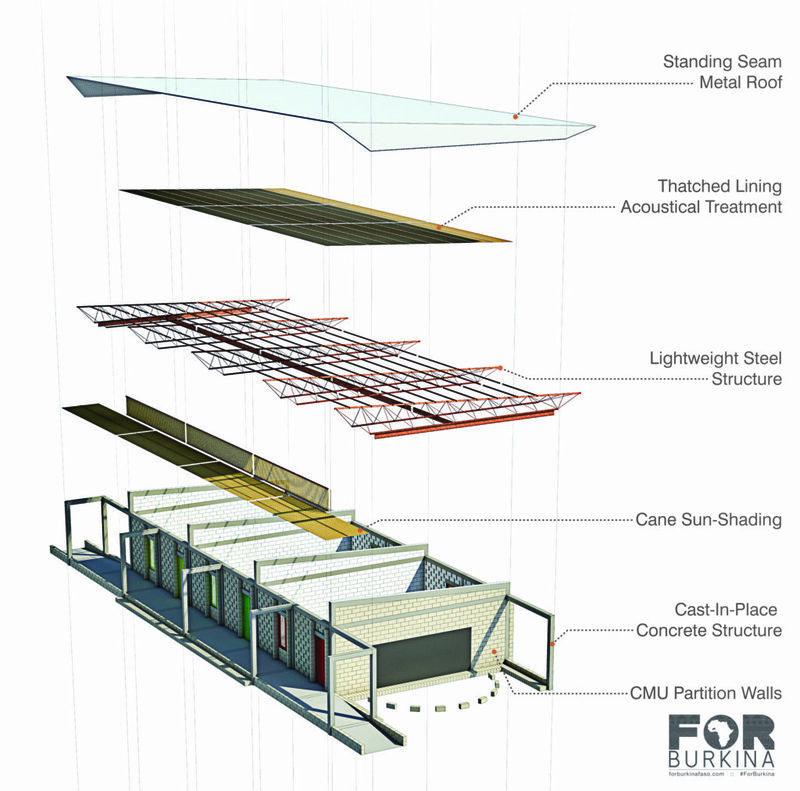 The design of the school is the result of months of research into the climate and culture of Burkina Faso. It is simple yet elegant, and it takes into account local construction methods. With the exception of a welder, the school will be constructed using non-electric hand tools for a cost of about $13.50 per square foot. For a comparison, a low cost school in Missouri is about $150 per square foot. It’s been exciting to witness Benjamin using the skills and lessons learned while working at SDA to give back to those most in need while still maintaining his commitment to the firm. To learn more about For Burkina and to contribute to their fund-raising campaign, check them out at ForBurkinaFaso.com.